VRoc Giveaway – Models Coming Soon! There seems to be a bit of confusion concerning the new VRocs we are coming out with. There are three different flavors of VRocs. VRoc 1 will be designated VRoc and is the mellowest and straightest out of the box Roc. It is based on the San Marino Roc. Enter now for your chance to win one before the release! VRoc2 is planned for later and is basically the VRoc version of the Rancho Cucamonga Roc. We have affectionately called this the Rocamonga. It is the most overstable of the three VRoc types. The Champion Jolly Launcher VRoc3 has been sequestered for Innova Europe/Discmania’s European Open fundraising. The VRoc3 is the Roc3 version of the VRoc and is the flattest and fastest. It has a stability between the VRoc and the VRoc2. All of the VRocs get the benefit of extra torque resistance. 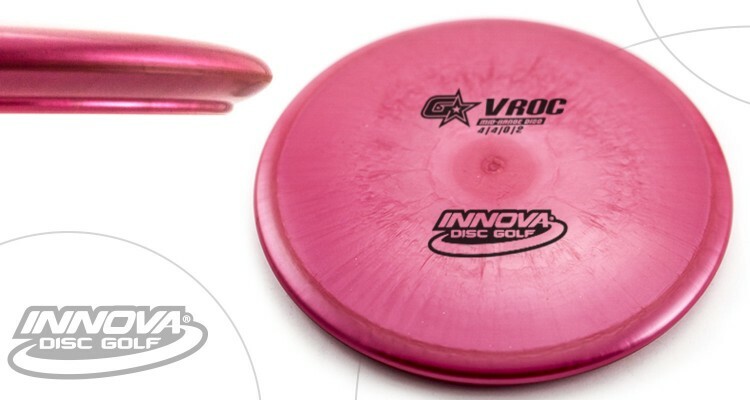 The VRoc variants were sent in to PDGA as a variant. They are legal for PDGA play. Five (5) lucky fans will each win (1) GStar VRoc before the release! For your chance to win, use the widget below with your favorite social network (or all three) to enter. Entry into the contest ends on 1/28/2015 at 11:59pm Pacific Time. This post will be updated with the winners on the morning of 1/29/2015. Good Luck Everyone! The Champion VRoc3 fundraiser for the 2015 European Open went on sale at Discmania.net on Thursday, January 22. The GStar VRoc (San Marino type) will be available for general release in mid to late February. No date for the VRoc2 (Rocamonga) as yet.